The deep national crisis has been a long time coming and it’s bigger than just Brexit. It’s even bigger than a quasi-constitutional crisis about whether we’re a functioning democracy. In full scope it’s an existential crisis about the United Kingdom and its identity, meaning and role in the world. It started in 1971 when Edward Heath deceived the nation by claiming the EEC was purely about trade and cooperation. The project’s purpose was economic not political he insisted, in clear contradiction of the EU’s Founding Fathers like Robert Schuman. We believed Heath and hadn’t heard of Schuman’s schemes, so we voted accordingly. We now know where that has led us. In the name of erasing Europe’s nation-states, a bureaucratic and unaccountable Leviathan has arisen in Brussels. By bribing most of them with our money, the monster has succeeded where Napoleon and Hitler failed: it has gobbled up and strait-jacketed other European nations large and small, ancient and modern, and now struts its stuff across the world stage complete with its own nation-state emblems of flag, anthem, central bank, diplomatic corps and an incipient military force. 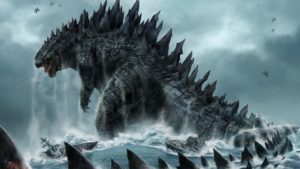 Hypocrisy and hubris have become the food and faeces of the Brussels Leviathan. And, after a thousand years of independence, our once-proud nation has been reduced to the status of an off-shore province and a cash-cow for the management of the monster. Over the past half century too, and in close cooperation with the Brussels elite who now legislate and regulate our political life, the UK’s liberal political class has busied itself with interfering in our personal and social lives by imposing its language and values on us. 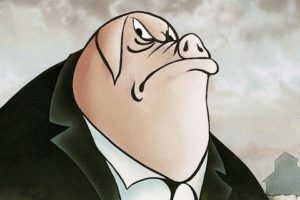 It has achieved this via the organs of state – including the fourth estate of the mainstream media – that, like Stalin and Animal Farm’s Comrade Napoleon, arbitrate between “correct” and “incorrect” thoughts, words and deeds. It now controls our discourse and sets the agenda of what we may or may not talk about. As a result we have been disabled from challenging the establishment’s own deep-seated Anglophobia, fawning Islamophilia, support for mass immigration, minority-worship, devaluation of marriage, promotion of gender fluidity among primary school-age kids, preference for emotion and ideology over facts and evidence, ‘hate-speech’ bans, and all the other progressive-liberal harms and cultural destruction that they’ve foisted upon us. If we do challenge them, we are subjected to their full arsenal of hate words – xenophobic, Islamophobic, racist, homophobic, transphobic, bigoted, misogynist, a hater or similar – and, if we’re not hauled into court, we are cast into outer political and social darkness. By June 2016, this liberal hegemony and control of our lives and language was almost complete. But then the British distaste for lying tyrants and self-serving dictators – even liberal ones with their sleek stage management, their glossy self-presentation, their smooth language about tolerance, compassion and inclusion, and their grasping hands thrust smilingly into our pockets – led the people to vote decisively for Brexit. 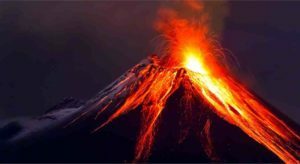 It was a volcanic eruption of unprecedented proportions. Britons, especially working-class and middle England, voted for freedom from the reserves of independence and liberty found deep within the national psyche, and this of course threatened to break up the smug and settled liberal landscape on the public surface. Inevitably the elite mask of civility and tolerance slipped: the response became venomous, the gloves came off and the fight to overturn the democratic will of the people commenced. Tory Remainers were installed at both addresses in Downing Street; quisling staffers and inexperienced civil servants were sent to negotiate terms with hard-nosed Brussels apparatchiks tasked with punishing the departing non-believers pour encourager les autres; prominent big-beast Brexiteers were enervated by lucrative contracts with media outlets, proved impotent around the Cabinet table, or staffed the Dad’s Army of incompetent and tribal Tory back-benchers; and by November 2018 the light of Brexit and freedom was dying, snuffed out by the Prime Minister’s surrender document of vassalage and servitude. But against the deepening darkness of national decline and Brexit treachery, a morning star has arisen from a council estate in Luton, flickering at first but now shining ever stronger. The star has confronted the darkness, outwitted the elite and given people hope. The star is called Tommy Robinson. Working almost alone Robinson has created a huge supporter base by continuously promoting his views and activities over social media. He currently has over 1 million followers on Facebook – more than any of the mainstream political parties. His hour-long address to the prestigious Oxford University Union has been viewed nearly 1.3 million times. When he was wrongly arrested and sentenced to jail in a flawed trial earlier this year, 30,000 people took to the streets of London, his name was written in the sky over Sydney Opera House and protests took place outside British consulates and high commissions around the world, including Auckland, Ottawa, Vienna, Copenhagen and New York. Tommy is everything the politically-correct elite despises: working class, white and male – although he is still too young for them to dismiss him as ‘gammon’. Nor does he drive a white van. He is intelligent, quick-witted and courageous, and learns swiftly from his mistakes. When he realised the English Defence League he founded was being infiltrated by racists and thugs, he resigned in disgust. 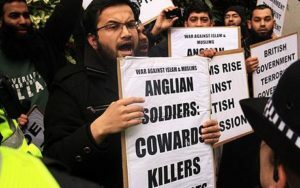 He had formed EDL when Al Muhajiroun extremists led by Anjem Choudary hurled abuse at Royal Anglian Regiment soldiers as they marched through the streets of Luton on their return from Iraq. He was incensed that it was the St George’s Flag-waving Regiment supporters who were arrested, not the Choudary Islamist groupies. Tommy has since single-handedly and successfully insisted that we must talk about the Muslim grooming gangs that have brutally raped probably quarter of a million underage girls over the past three or four decades. He is, too, increasingly identifying the authorities that persistently turned a blind eye to the atrocities and thereby left many thousands of vulnerable girls in the hands of Pakistani perpetrators. He would not be silenced when he was banned by Twitter for publishing “hateful” tweets not about Muslims but about Islam. He promptly led a #FreeSpeech march of 3,000 through central London to Speakers Corner, the traditional home of democratic debate. He has bearded the judiciary in their Old Bailey den with a brilliantly-timed personally-composed Defence Statement that caused the judge to cancel the legal trial, release Tommy from bail and refer the issue up to the Attorney General for a political decision. He has out-manoeuvred the military establishment. 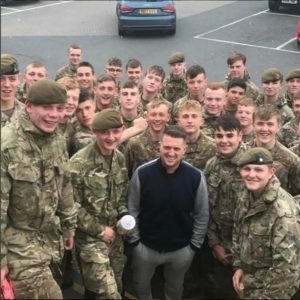 When the Muslim Council of Britain complained to the Ministry of Defence about pictures of Tommy alongside British Army cadets at Newport Pagnell service station on the M1, the military denounced the pictures, investigated the cadets and, the young soldiers revealed, dismissed one. The MCB said “Jump”: the British Army said “How high?” – so Tommy collected 200,000 signatures for a petition demanding the reinstatement of the soldier. He presented it at 10 Downing Street on the same day it emerged that the soldier was not to be dismissed after all. This was, of course, not a coincidence. His detractors point out he has a criminal record; he illegally entered the US on a false passport, lied on a mortgage application and head-butted an off-duty police officer who intervened in his on-street domestic dispute with his wife. But supporters retort that these are minor infractions compared with, say, the dodgy-dossier lies, fraudulent prospectuses and illegal wars of the former prime minister, prominent Remainer and BBC favourite, Tony Blair. Blair is only protected from a substantial criminal record by his membership of the ruling class. And anyway, Tommy has had to grow up recently and put foolish things behind him. He may be a rising star but he is also a marmite figure; you either like him or loathe him. But he is not divisive; rather he forcefully highlights the divisions that others have created, especially the chasm between the well-heeled politically-correct globalist elite and the rest of us. On Sunday week Tommy is turning his attention to the current crisis facing the country. Together with UKIP leader Gerard Batten, he is calling for a ‘Brexit Betrayal’ demonstration in London just days before Parliament votes on Theresa May’s pitiable surrender document. It should be electric. It might light up the political firmament. It’s an event not to be missed.